Ceremony is an integral part of all WISN’s work. When describing the attributes of ceremony, Western literature explains ceremony in psychological terms: ceremony connects the outer world with the inner world. For indigenous peoples, when the outer and inner worlds connect we are one with the environment and life, have access to more information and better insights, and new questions may be raised. Ceremony is carried out because it is efficacious and works. For many indigenous communities, there are prohibitions imposed on their traditional ceremonies. Ceremonies are perceived as a threat to opportunistic, materialistic and explicative measures of corporate analytical dissociative mind. 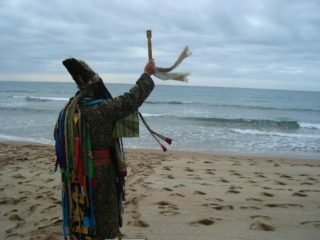 Ceremonies connect to the whole mind despite disassociation. WISN supports indigenous ceremonies to revitalize and connect cross culturally solidifying and sustaining a network of indigenous communities across the globe.